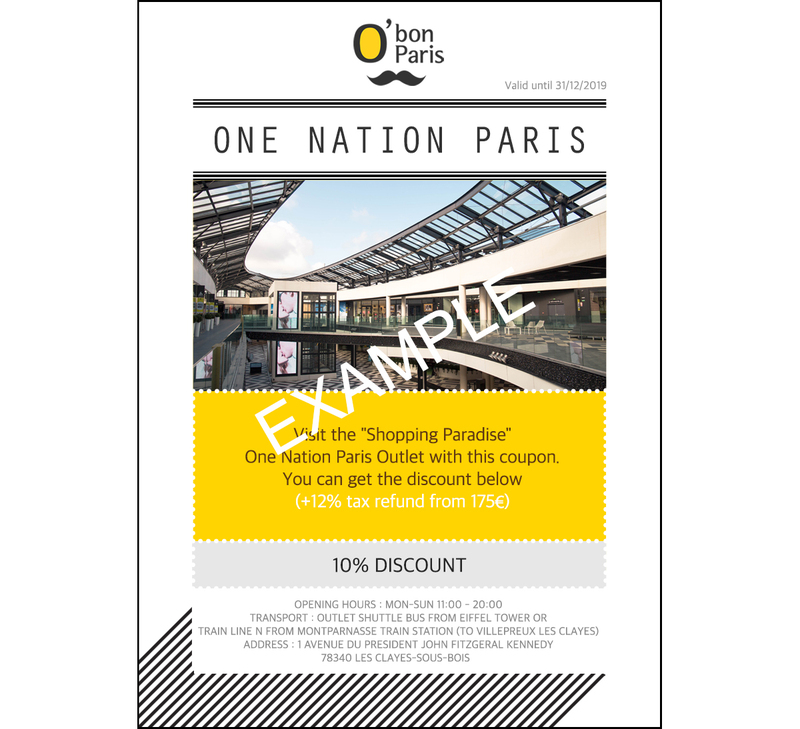 (4) Come at ONE NATION PARIS to purchase your items and get the discount. 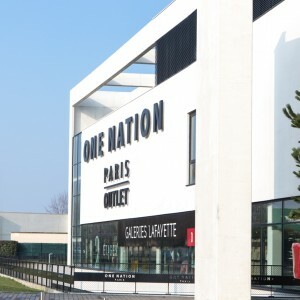 -When arriving at ONE NATION PARIS, go directly to the welcome desk next to Lafayette outlet store. 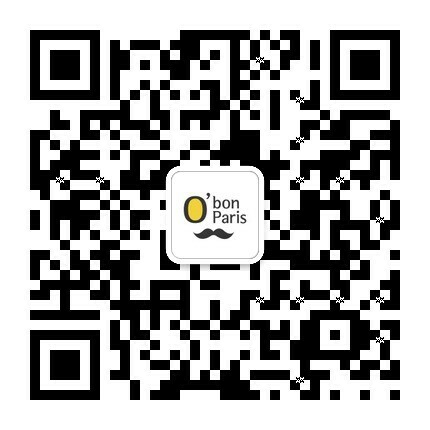 Show them your O'bon Paris coupon (you have downloaded after clicking on the yellow button below), you will receive ONE NATION PARIS' discount pass. 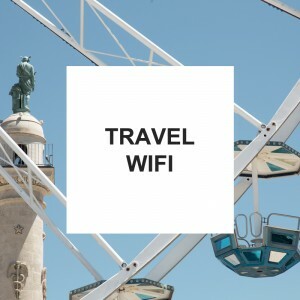 You can use it in most stores to get 10% off. 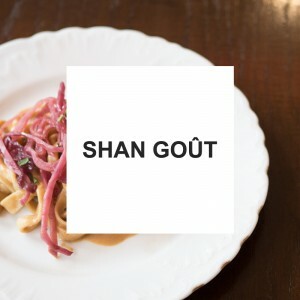 -Coupon cannot be combined with any other kind of discount coupon.